There is already a market for 3D worlds, he said, starting in the educational sector. He expects to see things start to take off in the next six months, he added. To chronicle the emergence of the new online virtual world. Haifisch has launched MaxPing with friends Jani Pirkola and Max Probert. MaxPing is a new online magazine, which evolved out of the CyberTechNews blog. The magazine does not currently accept advertising, he said, but it might in the future. 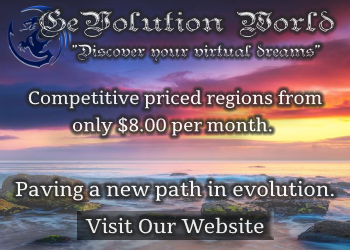 In general, OpenSim regions cost about a third of the price of SecondLife regions – and prices are expected to fall further, as more providers get set up to host this emerging platform. A full region in SecondLife, for example, costs $295 a month – but the same region hosted by by a service company like Ralf Haifisch’s is just 45 Euros. Haifisch currently operates his regions on the OSGrid, which is currently the largest grid in the OpenSim universe. He’s not out to make money, he said — the fees simply offset his server costs. Haifisch said that he decided to join the OSGrid, instead of setting up a separate grid, because he is interested in the new technology that’s being worked on. 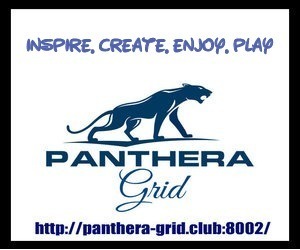 OSGrid is popular with developers who use it as a testing ground for new software features before they are widely released. To reach about renting a region from him on the OSGrid, he recommends that clients visit his website, Ralf Haifisch Business Operations, or email him. Customers can also drop by his virtual office, on the Sharkland Tropical 1 region on the OSGrid. He accepts both PayPal and V$ – the virtual currently system that piggy backs on Second Life’s Linden Dollars. For clients looking to build their own grids, said, he would refer them to the company where he currently works as a staff developer. His company is currently working on a demo product for an organization in the public safety sector, using an OpenSim server deployed on a stand-alone laptop to create portable training environments that an instructor can take into classes. “It’s like an intranet website,” he said. The instructor would plug the laptop into a video projector, and a training class can experience the virtual simulation of an emergency response plan. Has to be an improvement over PowerPoint (in my opinion, at least).